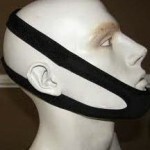 The chin strap is so ugly! I don’t want to look horrible! To be able to offer them at such a low price design issues are off the table for manufacturers. There is, just by nature, very little you can do to make them “cool”. Maybe to add a “Chanel” or “Gucci” logo, but I doubt that would make much difference. It looks like someone put a dog muzzle on me and not a snoring chin strap! I heard this in some forum and was laughing about it because, especially some models, do look like dog muzzles! 🙂 which is actually not a bad reason to spend a couple more bucks and try to get as good of a design as you can. It also maybe has to do with the features of the face of the person and generally speaking the whole combination of it. Finally a good reason to reject and hate them especially for those people who are very sensitive and can not stand anything touching their skin at all times. 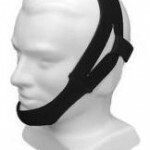 The anti snoring chin straps after all have to be worn at all times while sleeping which is many hours of possible discomfort and irritation. Maybe the snoring will be gone but insomnia would start due to anxiety and discomfort issues. This one is really a good reason for someone to reject this snoring solution or device, but then again there surely are people who will complain after 2 seconds and not give it time to get used to. 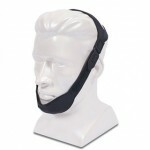 I have a cold – you want me to wear this chin strap and die? 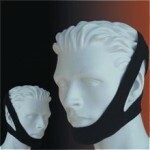 Of course nobody will force you to wear a snoring chin strap when you are also ill (I hope! ), but still an amusing idea or complaint nevertheless. I hope this article was useful and fun for you to read. I remind you again that in the name of fun this was a 100% bashing of the poor anti snoring chin strap and you should not make a decision just based on this article. 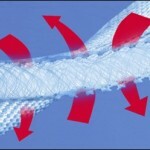 Read other articles like the snoring chin strap reviews or other snoring solutions to make a proper educated decision.